This post by Jess Trev is in response to a comment on yesterday's post about potential carcinogens in bubble bath. I do not have a degree in chemisty. You know what? Neither do many other parents. That is why it is *so annoying* that you need to have one to determine whether or not children's personal care products are hazardous. I'd like to know just by looking at the label that my kids are safe. I think this very issue underscores the need for the Kid Safe Chemicals Act. Is the formaldehyde in J&J products a health issue? Possibly. Is 1,4 dioxane a known carcinogen? Yes. It may be present in small amounts and we may be talking about cumulative exposure. But do we really need these ingredients -- or phthalates -- in baby bath? The problem for me, in fact, is that none of these possible safety concerns show up on the product label. I mean, seriously. The issue is whether there are trace amounts of known carcinogens in baby bath. And whether or not J&J and other companies even let us consumers/parents know if it's in there! Babies are smaller, at a critical stage in their development. I read the counter arguments to challenging the use of formaldehyde in personal care products (preservatives are necessary, and contamination may cause blinding). Really? There is no way to produce baby bubble bath without using known carcinogens as preservatives? Or is it that it saves the company money to use known carcinogens rather than having a shorter product shelf life? When my first baby was born, I didn't use soap or any products at all on her for maybe six months. My pediatrician (a homeopathy-leaning wonderful woman) laughed hard, and said, "hey, maybe you can use it once a week?!" so I definitely come from the "less is more" perspective. I guess I would give the companies more wiggle room if it were, I don't know, hair mousse that adults use. You could choose not to use it, you could choose a different brand, you could decide having great hair days was worth the risk. Bubble bath for kids? Seems like it can be a simple recipe. And it seems like the choices ought to be clear for parents. I personally want any risky ingredients out of my baby's bathtub. Other parents might have a different risk tolerance. Why not tell parents what choices they are making? Put the ingredients and any potential carcinogens created as by-products of the manufacturing process right there on the label where mom and dad can see them. I'd like to eyeball those choices up front before I slap my money down. Bravo! Great post and I agree 100%. I just want to know what is in the bottle and don't trick me. I really enjoyed the article posted regarding harmful ingredients in personal care products. It was very informative, and I believe you are absolutely correct about the negative impact that these chemicals can have on our bodies. I have discovered several amazing reports to validate your position, and I think you would find the information fascinating. I would love to discuss this further with you. Please email me at your earliest convenience. 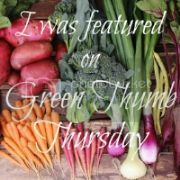 Thanks, Green & Clean Mom! You're an inspiration. Your call to action kicking off this carnival was so needed. Hank, your blogger profile's not publicly available. Feel free to shoot me an email at greenphoneboothsheroes at gmail dot com. I whole heartedly agree. Why is it so strange to want to know what is in the bottle? If they can't be straightforward about their ingredients then I can only assume the worst, right? Thanks for the great post! As I am preparing for the birth my own baby, I am constantly faced with people telling me that this soap is better than the other because of the "scent". I feel as though people only look at a pretty label and lovely scent and don't stop to think about what it is that makes the bubbles smell good. Thanks for this wonderful article! I just avoided the whole issue and used warm water on their heads and just a little soap (unscented, pure) where it mattered on their bottoms. One child still uses only water on his head (he is 10) and the other uses baking soda like us adults. None of us have ever used the vinegar rinse thing. Jenn - amen to transparency! Knutty Knitter - good luck with your new baby! Fragrance is actually especially problematic since it often has phthalates (which aren't on the label). I almost always go fragrance-free fwiw. Viv - thanks for the tip. May start skipping the vinegar rinse myself and see what happens. And yes, I have a couple family members who swear by water only and not disrupting the natural balance of oils in your hair/on your skin. Yes! I am 100% with you on this. Can we draft something on this? What else can we do? As Janelle Sorenson from Healthy Child Healthy World noted in the comments of another post about this topic: "The Kid-Safe Chemicals Act could really transform things for the better (and give us all more time relaxing and playing instead of researching which products are safe for our kids). Call your elected reps in congress today! (Don't know who they are or have their number on speed dial? Look them up at www.congress.org)"
I also think that sending letters to corporations (not just J&J, by the way) that don't disclose all their ingredients on their labels and/or include those you're uncomfortable with can work wonders. Just look at Beth's campaign with Brita filters. Not to mention sending a vote with your pocketbook: stop buying unsafe products (and then write to companies telling them why). This is such a common-sense summary of the issues. It really annoys me that the industry lobbyists are out slamming us on our blogs and that J&J still hasn't responded....I guess we little "mommy bloggers" have hit a nerve, huh? Thanks for your post on this topic! Transparency is essential – we shouldn’t have to sift through unpronounceable chemical names to make sure our baby isn’t going to bathe in carcinogens. The Kid-Safe Chemicals Act seems to hold a lot of promise for improving safety, but it needs to consider improvements to the science behind chemical testing as well. The current animal models for chemical tests are flawed, and improperly tested chemicals pose as much of a threat as an untested ones. We shouldn’t be relying on outdated and imprecise tests to tell us our children are safe.